Most of your patients own a pet. In North America there are slightly more dogs than cats. In New Zealand and Australia the cats slightly outnumber the dogs. Like humans, our pets suffer from some diseases much more frequently than others. The Natural Cat Health Masterclass is presented by a team of experienced natural veterinarians who will give you, the non-vet clinician, lots of valuable insights into how to keep a cat healthy and what to recommend when it is ill. Importantly, we also need to know when we need vet to step in and/or how to integrate with quality veterinary care. The Natural Cat Health Masterclass has been designed to show you how to prescribe a healthy lifestyle and diet for your patient’s cats, recognise when they may be unwell, and how to use natural means to get them healthy if they are unwell. There is a great deal you can do for your patient’s cat’s health. Although animal physiology is quite different to a human in many ways, holistic vets frequently treat their animals similar to how we approach human health. And for many vets, their natural medicines are the same as those we are using for humans. Each of your presenters are holistic veterinarians, some with feline specialties. They all have busy veterinarian practices and considerable clinical expertise. They understand you have natural human medical training and will give you what you need to make better clinical decisions for your patient’s cats. Kim Kendall is one of the world’s best known cat vets. She is a world expert in feline friendly care, one of only two cat-only vets in Sydney and the only cat vet in Australia qualified in cat behaviour. 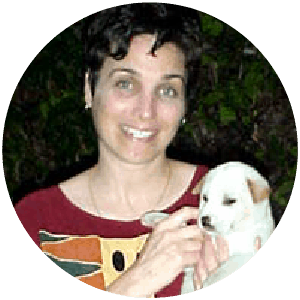 Elaine Cebuliak is a Veterinary Surgeon and Physician, and is also a qualified Naturopath, Medical Herbalist, Nutritionist, Aromatherapist, Reflexologist, Remedial Massage Therapist. She has held many executive positions in the Australian Veterinary Association including President of the Central Queensland Australian Veterinary Association branch, Newsletter Editor of the Australian Veterinary Dental Society, President of the Holistic Veterinary Association, Publicity Officer, Queensland Representative of the Holistic Special Interest Group of the Australian Veterinary Association. Bruce Syme graduated from Melbourne University vet school in 1991 with first class honours, after completing a 3 yr science degree with a major in molecular genetics. Bruce enjoys using natural therapies, combined with traditional orthodox medicine, and has a special interest in nutrition and the links to chronic disease in dogs and cats, particularly in treating skin disease. Clare Middle graduated in veterinary science in 1979 and gained a certificate with the International Association of Veterinary Homeopathy from the first time this course was offered in Australia. She also gained a certificate with the first Australian course of the USA based International Veterinary Acupuncture Society, in 1991. Why feed a natural fresh diet instead of processed pet food? How do we know a fresh diet is complete and balanced? Is a raw diet safe? Dr Bruce Syme BVSc(Hons) graduated from Melbourne University vet school in 1991 with first class honours, after completing a 3 yr science degree with a major in molecular genetics. 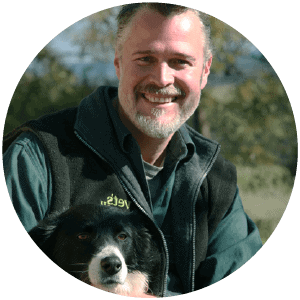 Bruce became a certified veterinary acupuncturist in 1995 and continued further studies in nutrition, herbal medicine and homoeopathy. Bruce has a wide range of interests in veterinary medicine, including both small and large animals. He currently owns and operates the Vets All Natural Animal Health Centre which includes a veterinary clinic (5 veterinarians, 8 support staff – emphasis on natural health/medicine), grooming, dog training, and a wholesale outlet for natural pet care products, foods and fresh meats. This practice is located in Barker St, Castlemaine, in central Victoria. Dr Elaine Cebuliak BVSc, MACVSc (dentistry), CVA (Vet Acupuncture), Cert Chinese Herbs, CMAV A is a Veterinary Surgeon and Physician, and is also a qualified Naturopath, Medical Herbalist, Nutritionist, Aromatherapist, Reflexologist, Remedial Massage Therapist. She performs referral work, teaching, and running workshops. 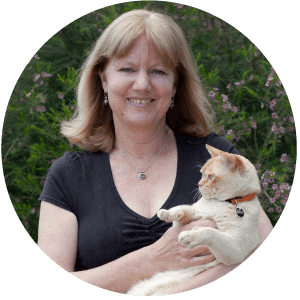 Elaine Cebuliak founded an Integrative Vet Medicine Practice in Brisbane in 2010 called “Animal Wellness”. Dr Clare Middle graduated in veterinary science in 1979 in the first year of graduates from the then new Murdoch University in Perth, WA. She has worked as a small animal vet in Perth since then. She gained a certificate with the first Australian course of the USA based International Veterinary Acupuncture Society, in 1991. When Clare’s two children did not respond well to normal medicine when they were babies in the 1980’s, she treated them homeopathically with great results, and so took a post-grad certificate course in homoeopathy for GP’s and dentists, as there were none available for vets then. Having trialled homoeopathy on her children, she deemed it safe and suitable for her animal patients and began using it in her vet practice. She then gained a certificate with the International Association of Veterinary Homeopathy from the first time this course was offered in Australia. In 1992, she bought East Fremantle Veterinary Hospital, where both Clare and her staff increasingly used several natural therapy modalities for their small animal patients. In 1996, she was the inaugural president of the Integrative Veterinarians Association, newly formed as a special interest group of the Australian Veterinary Association. In the early 2000’s, Clare was the IVA rep on the AVA policy council to help set the Dog and Cat Vaccination policy for Australian vets, as a choice to allow a less frequent vaccination schedule according to scientific evidence (rather than the increasing tendency to vaccinate more frequently). Clare has a certificate in Veterinary Traditional Chinese Medical Herbology and a certificate with the USA Chi Institute in TCVM Food Therapy. Dr Kim Kendall is Sydney’s best-loved and one of the world’s best known cat vets. She is a world expert in feline-friendly care, one of only two cat-only vets in Sydney and the only cat vet in Australia qualified in cat behaviour. Her research, vet practice and grooming and boarding centre, the Cat Palace on Sydney’s north shore, are all about cat-friendly, cat-centred care. 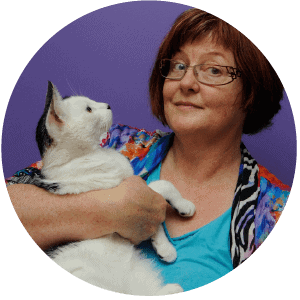 Dr Kim is an Applied Cat Behaviourist, with unrivalled experience in cats and the reasons behind the way they interact with us and with each other. 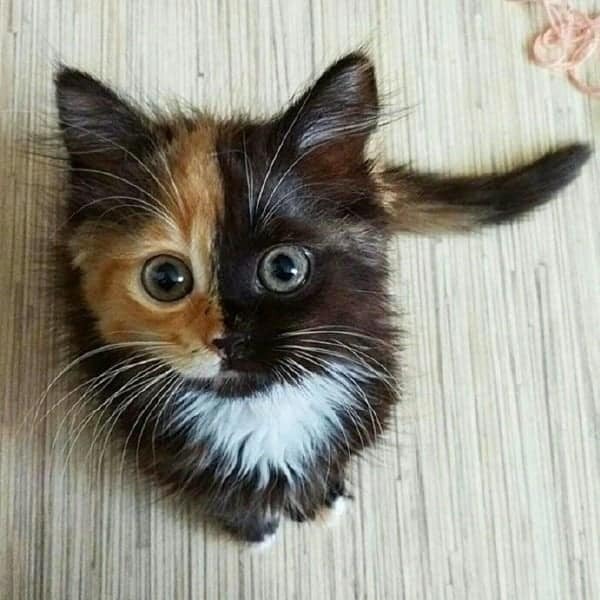 Such a dedicated background in feline behaviour is highly unusual anywhere, and especially in Australia, with Dr Kim’s opinion being highly sought after all over the world. She regularly appears on panels discussing both cats and more general animal treatment and welfare and is considered one of the foremost feline experts around today. Cats do get sick, there’s nothing any of us can do to put an end to that, but we hope the information we provide here can help at least to minimise or delay any of the all too many conditions and diseases which our felines can suffer from. Just small changes to the living environment and ongoing care can make a massive difference.